Illumination has captivated audiences all over the world with the beloved hits Despicable Me, Dr. Seuss’ The Lorax, Despicable Me 2 and Minions, now the second-highest-grossing animated movie in history. Following the release of this summer’s comedy blockbuster The Secret Life of Pets, Illumination presents Sing this holiday season. With its highly relatable characters, heart and humor, the first collaboration between writer/director Garth Jennings (Son of Rambow, The Hitchhiker’s Guide to the Galaxy) and Illumination founder and CEO Chris Meledandri marks the sixth fully animated feature from the studio. The event film stars Academy Award® winners Matthew McConaughey and Reese Witherspoon, alongside Seth MacFarlane, Scarlett Johansson, John C. Reilly, Taron Egerton and Grammy Award-nominated Tori Kelly. Set in a world like ours but entirely inhabited by animals, Sing stars Buster Moon (McConaughey), a dapper koala who presides over a once-grand theater that has fallen on hard times. Buster is an eternal—some might even say delusional—optimist who loves his theater above all and will do anything to preserve it. Now faced with the crumbling of his life’s ambition, he has one final chance to restore his fading jewel to its former glory by producing the world’s greatest singing competition. Five lead contestants emerge: Mike (MacFarlane), a mouse who croons as smoothly as he cons; Meena (Kelly), a timid teenage elephant with an enormous case of stage fright; Rosita (Witherspoon), an overtaxed mother run ragged tending a litter of 25 piglets; Johnny (Egerton), a young gangster gorilla looking to break free of his family’s felonies; and Ash (Johansson), a punk-rock porcupine struggling to shed her arrogant boyfriend and go solo. Each arrives under Buster’s marquee believing that this is their shot to change the course of their life. And as Buster coaches each of his contestants closer and closer to the grand finale, he starts to learn that maybe the theater isn’t the only thing that is in need of saving. 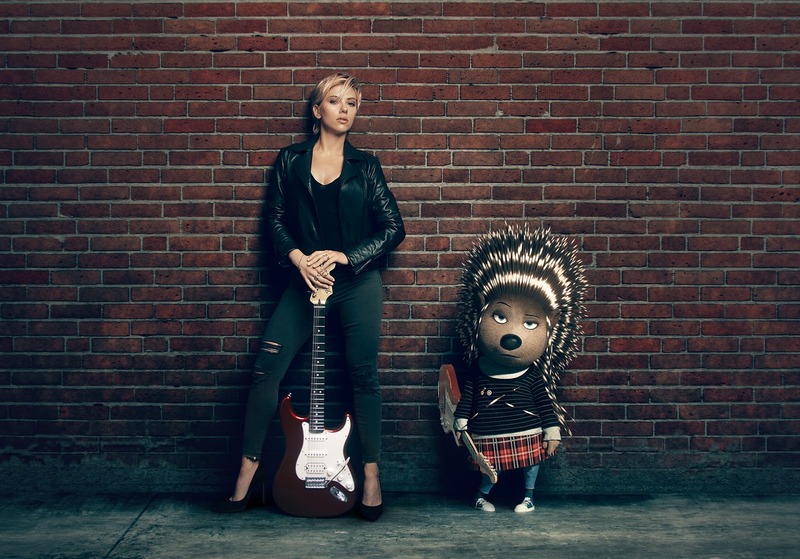 Featuring more than 65 hit songs, Sing is produced by Meledandri and his longtime collaborator Janet Healy. Together, they have produced all of Illumination’s films since the studio’s inception. 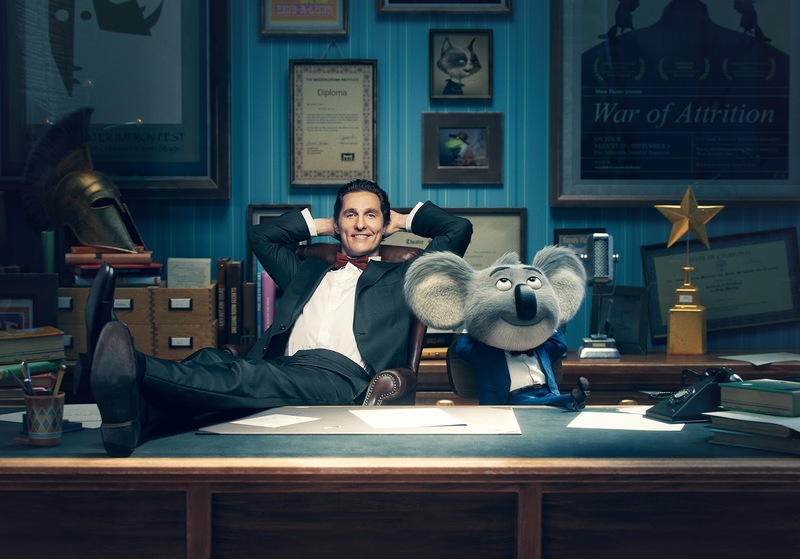 Released by Universal Pictures, Sing arrives in theaters on December 21, 2016. Wow, I wasn't expecting such great music. I don't think my grandchildren will know the music but I sure do. I can't wait to see it next month.